Developing nations in tropical regions harbour rich biological resources on which humans depend for food, income and employment, yet data to aid their management is often lacking. In West Africa, the diversity and fisheries of elasmobranchs are poorly documented, despite them being known to be economically important and vulnerable to overexploitation. Rapid qualitative surveys of fish processing and landing sites in The Gambia from 2010-2018 revealed valuable new data on species composition, biology, relative abundance, fisheries and utilisation by humans. Diversity and abundance was dominated by batoids, with a major component comprising a large guitarfish (Glaucostegus cemiculus) that was apparently targeted, and a small whipray (Fontitrygon margaritella). Nearly all taxa recorded are classified by the IUCN Red List as Critically Endangered (angel sharks Squatina spp. ), Endangered, Data Deficient, or Not Evaluated; several were endemic, of exceptional evolutionary distinctness, cryptic, possibly undescribed, and rare (including stingray Hypanus rudis not apparently recorded since description in 1870). 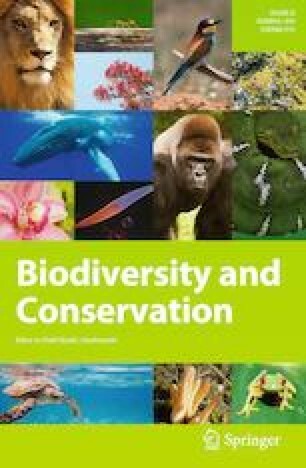 Significant threats to biodiversity, coastal livelihoods and possibly food security are identified based on the apparent importance of elasmobranch fisheries and processing; the known inability of key taxa to withstand intensive fisheries; ‘fishing down the food web’ by intensive utilisation of F. margaritella; and the absence or rarity of previously common elasmobranch species that may be severely depleted in the region. This study provides data that may act as a starting point to aid sustainability accreditation of local fin-fisheries, and demonstrates the value of inexpensive and low-resolution data collection in developing countries. We would like to thank the following for their kind help: University of Cumbria (UoC) staff Billy Sinclair and Volker Deecke for providing support in the field and photographs, and Claire Holt for providing the map; UoC undergraduate students who collected photographs and data between 2011 and 2018 (Roger Atkins, Callum Atkinson, Curtis Blank, Curnow Bascombe, Sophie Cornfoot. Adam Crompton, Leanne Edwards, Emma Hampsey, Rachael Hardcastle, Ryan Harvey, Alexandra Hesse, Jess Holdsworth, Jake Horwood, Sara Iversen, Kayley Knight, Nicole Mallett, Rahul Mehrotra, Suzannah Miller, Nathan Murray, Sally O’Neil, Oissene Purser, Sam Sewell, Jennifer Stollery, Philip Stone, Sam Thompson, Annabel Walker-Evans); Marcelo de Carvalho and Sarah Viana for providing identification advice; Ebrahima Ceesay (Fisheries Department) for guidance and translation; and Abou Saidy for organising local transport. The opinions expressed in this paper do not necessarily represent the views of the employers of the authors.